Not sure what I'm going to call this yet. 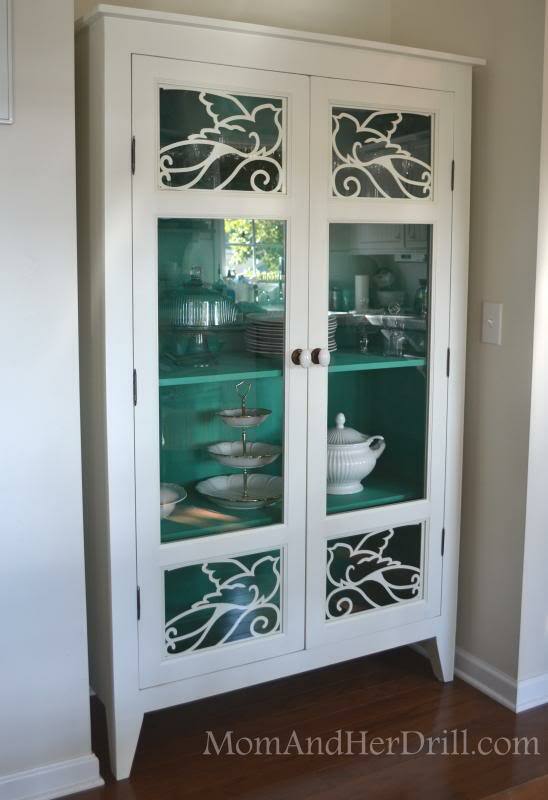 It's an armoire....a bookcase....a china cabinet? It's anything, really. 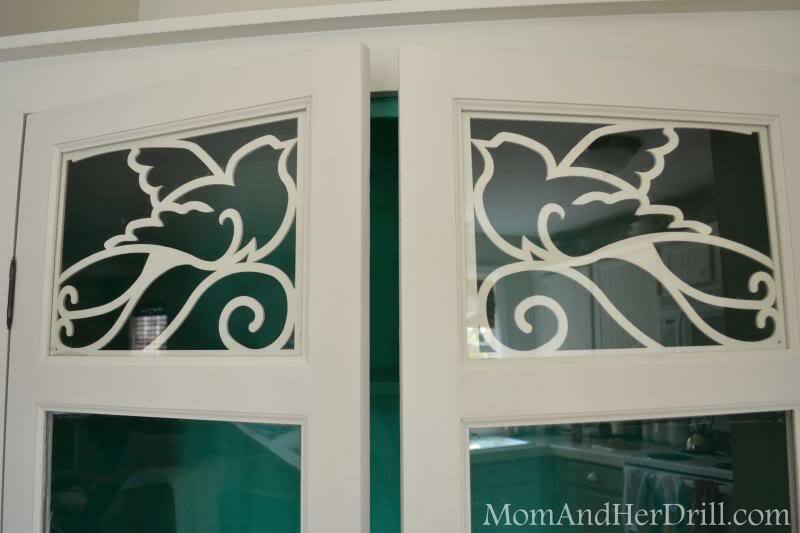 And it's awesome because it combines the things that I love most about vintage furniture that you can't find much anymore (fretwork/inset doors/glass) with the lines of modern furniture. I drew the piece in CAD and then sent the bird template to be laser cut out of 1/8" material, and then I built the rest. 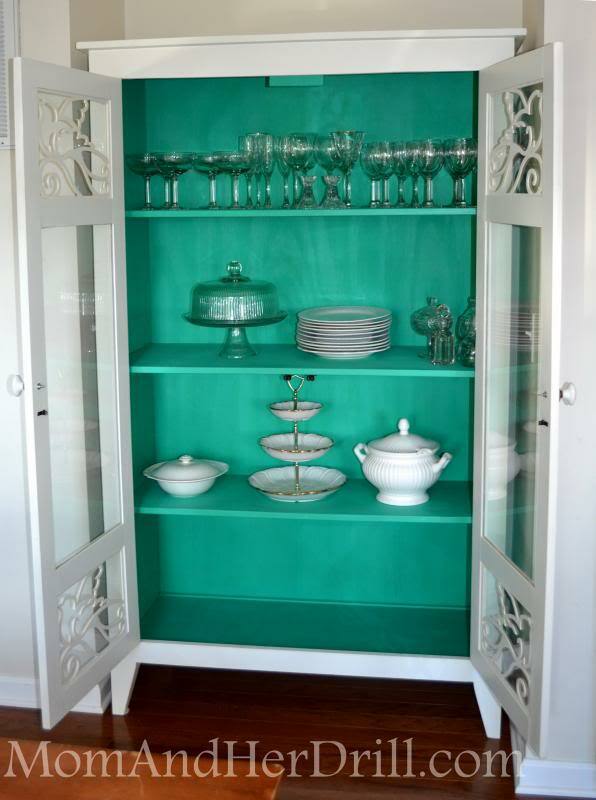 I said on facebook that I was thinking of repainting the inside turquoise, since this is Pantone's color of the year for 2013 - Emerald. But I don't know....it's kinda growing on me. I don't normally like really strong green colors but this is gorgeous in real life. It might also be because I'm really tired and don't want to repaint yet. I might repaint it once I see next year's color trend. It fits perfectly in this awkward little alcove in my kitchen. Wow, wow, wow, you never cease to amaze me! Well done! I love it! Very beautiful and easy to sell if you ever choose to make some money on the side doing this kind of thing. Wow, that's really beautiful! You're such an inspiration ... you put your mind to something and you do it! Love it! Its beautiful! You are a woman of many talents! geez! you are so talented! Wow, really impressed with the decor of glass. How can i purchase this from you? Holy Cats! That piece is beautiful! I love the color inside - makes it look very fresh. You should be dang proud girl!! 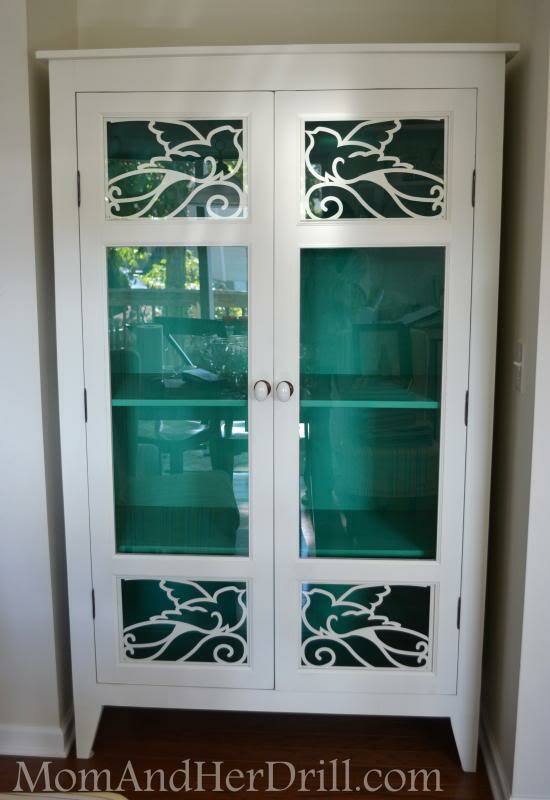 That is a gorgeous armoire, amazing bookcase and beautiful china cabinet!!!! The inside color is my favorite part- looks awesome with the white dishes. Can't wait to see more- nice work! It's beautiful! It's funny you said it was the Emerald color because on my screen it looks like a turquoise, lol. I think it's perfect as it is, I wish I had a spot for something like it in my own place. 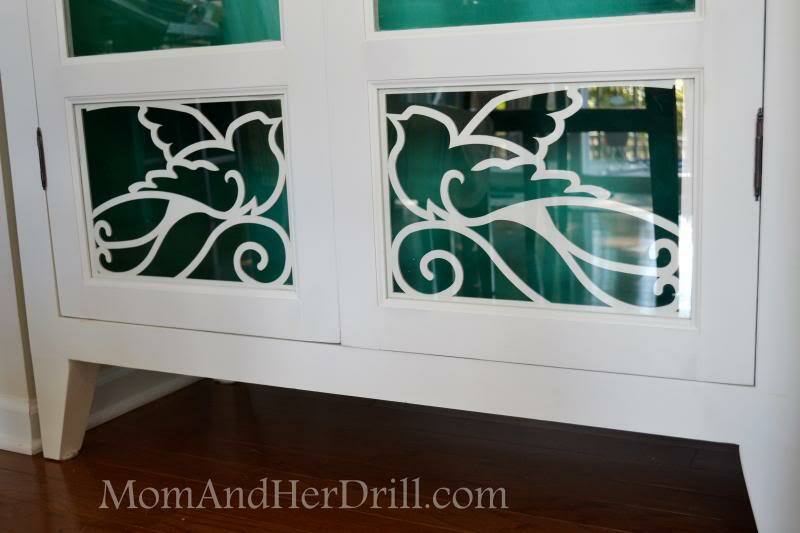 Wow - the color is perfect with the white bird fretwork - stunning! You're very talented. Glad I found you over at the Wow Us Wednesday Party. WOW. ok so 1) look at what you do! and 2) look at how you go after it and 3) look at how you spell courage!! this whole thing speaks of spirit and art and good taste and fun! Any chance you will sell the plans?